Not a certified PADI Scuba Diver? No problem! 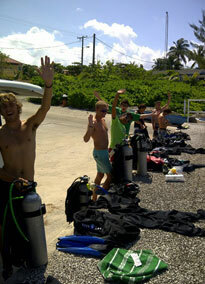 Go Pro Cayman has the diving Internship for you. Join us here in the Cayman Islands to take part in our PADI Open Water Diver to Instructor program. 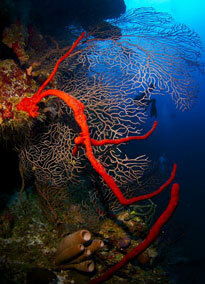 This Internship will take you from non diver all the way to the professional level diving. You will absolutely be ready for a career in diving upon completion of your Internship due to the fact you will have been immersed in the inner workings of a real dive shop, you will help our team of dive instructors with real life customers, all the while gaining invaluable hands on experience that will help you in the future as you the enter the diving industry as a working Dive Instructor when you graduate the program. The Cayman Islands Government does not allow non work permit holders or residents to stay on the islands beyond 4 months. This means that you must leave the Cayman Islands before you have completed your Internship. We recommend that you use this time to travel the Caribbean region or perhaps go home to visit family and friends for a while, you can then return to Cayman to complete the remainder of your program at a later date. This exciting Internship will enable you to make that big step; you will eventually have a ticket to travel to some of the most stunning places on earth and be paid to work in them. Not many people can say that! Join us here at Go Pro Cayman and let us guide you on the path to becoming a PADI Diving Instructor. Learn how to drive a boat with our programs. In order to make you a more complete professional, we also offer boat training .Increase your employability and your knowledge by signing up for our boat training course. Get advantage from our 15% discount and pre-book now. This certification is recognized worldwide. The PADI Open Water Diver course is the world’s most popular scuba course, and has introduced millions of people to the adventurous diving lifestyle. 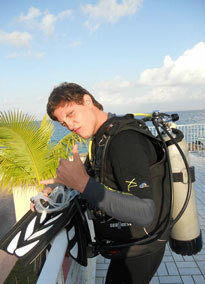 Get your PADI scuba certification. If you’ve always wanted to learn how to scuba dive, discover new adventures or simply see the wondrous world beneath the waves, this is where it starts. During the course, you’ll make at least five pool dives and four dives at local dive sites under the supervision of your PADI Instructor. Next step will be your PADI Advanced Open Water Diver with Go Pro Cayman. The next step for you will be to gain your Rescue Diver certification Challenging and rewarding best describe the PADI Rescue Diver course. Building upon what you’ve already learned, this course expands on what you already know about how to prevent problems, and how to manage them if they occur. Have a PADI Medical ( PADI medical form) signed by a physician within 3 months. LIFE'S A BEACH, SO LIVE IT!! !